By Farsight, July 5, 2017 in Join Here! Joining Spartan Tactical is a straight forward and easy process. First off start by creating an "Apllication for hire" by starting a new topic in the "Join Here" forum. It will automatically create a template for you so all you need to do is fill out the fields and input any information it asks for. Shortly after submitting an application one of our Liaison officers will get in touch with either on your application, through steam, TeamSpeak, or some other means if requested. After this it's down to you to put the effort in and want to be a part of this group. We won't chase you, but we will ask if you're still interested. 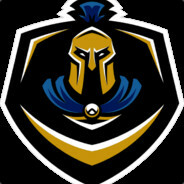 During this time we highly encourage that you join our TeamSpeak (ts.spartac.net) and also download our mods (http://steamcommunity.com/sharedfiles/filedetails/?id=784976466) and join our guys playing some arma and other games. This gives us and you a fantastic opportunity to see if you're still interested in wanting to be a part of us. Thank you for taking the time to read this, and we look forward to hearing from you soon.